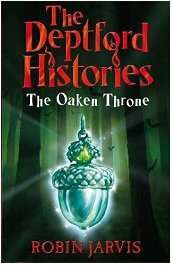 Published in the United Kingdom by Hodder Children's Books. It is a time of magic, and a time of darkness. The fierce wars between the bats and the squirrels have been raging for many years, but tonight the battle for power takes an extraordinary new twist. 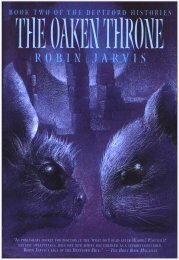 The Starwife, leader of the black squirrels, lies dying; before she can name her successor, she is betrayed and poisoned by her trusted handmaiden. A young bat, eager to prove himnself in the approaching war who believes that all squirrels are evil. A Knight of the Moon, he is the bats' greatest warrior and hero, having fought in countless battles against the despised squirrels. As Warden of the Great Book, Hrethel inspires the bat host to wage war upon the squirrel houses. The arch traitor of Greenreach, whose name is forever accursed. The young squirrel maiden, daughter of the Lady Ninnia and heiress of Coll Regalis. She has been taught to put duty before all else and her head rules her heart. Wise ruler of the Hazel realm who wears the bronze hazel about her neck. Ysabelle's mouse nursemaid. She is an anxious little body, much given to fretting. A talented stoat jester who is embroiled in the dramatic events at the time of Aldertide. One of the wise, elderly counsellors of Coll Regalis who taught Ysabelle all the traditions of the Hazel Realm, he is never seen without a scholarly parchment tucked under his arm. A frightful, greedy hedgehog and member of the dreaded Hobber cult. The lame shrew companion of Giraldus. Tysle was discovered by the mole after the Hobbers massacred everyone in his settlement, he is steadfast and true but far too trusting. A leprous mole who is on a pilgrimage to Greenreach in the hope of receiving a cure from the Green Mouse. His great friend is Tysle and depends on him for almost everything. The fierce mouse captain of the woodlanders who has taken oaths to rid the forest of the Hobb cult. The messenger of the Moon goddess, the oldest and wisest creature to have ever lived.